Are you afraid to go to the dentist? If so, you’re not alone. That’s why we offer Sedation Dentistry. Anxiety about a dental visit is actually more common than you think, with about 20% of the population reporting some sort of fear. Much of this fear stems from bad experiences people may have had while visiting a dental office, while other fears come from things like anxiety disorders, the lack of control in the dental chair, or the suspicion of bad news from the dentist. If you experience anxiety or fear, talk to your dentist and describe what you are feeling. There are things he or she can do to help, including sedation. Sedation dentistry uses the administration of medication to assist with relaxation during a dental visit. Except for procedures like surgery, where the patient is placed under general anesthesia, the patient is likely fully awake and in control. 4. General anesthesia that renders a patient completely unconscious. Minimal sedation can be administered through the inhalation of nitrous oxide (sometimes called laughing gas) or through oral dosage, as in the form of a pill. Nitrous oxide is administered at the time of the procedure while the pill, most commonly Halcion (a member of the Benzodiazepine drug family), is recommended to be taken approximately one hour before a dental visit. You will feel drowsy with the pill, but still awake. Patients sometimes feel so relaxed that they fall asleep during their dental visit, but can be awakened with a gentle shake. Oral sedation can range from minimal to moderate, depending on the dosage. Moderate sedation is most often administered through a vein using an IV. It is administered during the procedure and the level of sedation is controlled or adjusted by the dentist. Sedation dentistry may also be helpful for children who have fear of visiting the dentist or problems sitting still for periods of time. Nitrous oxide is most often used for children. General anesthesia requires the dentist to obtain further training and accreditation to administer it. Dental surgeons and dental anesthesiologists are most likely to have it. 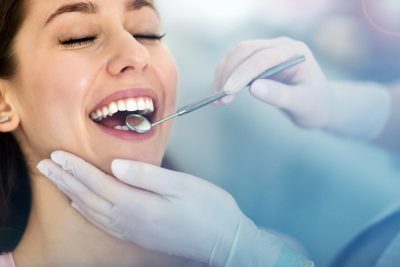 Are There Risks to Sedation Dentistry? As with any medication, there are risks, although most are minimal. Before administering any kind of medication, your dentist will review with you your medical history, including any allergies and medications you are currently taking. They will also review your general health and age. You can and should ask questions as well. Following your health assessment, your dentist will then review the options he or she would recommend and go over any risks and benefits with you. It is your choice as to whether to choose sedation or not. At Advanced Family Dentistry you need never fear going to the dentist again. You’ll love our friendly office and our oral nitrous oxide sedation dentistry options. As a dental surgeon who continually studies and employs the newest methods for advanced dentistry, Dr. Sonny Kim is fully trained and licensed in the administration levels of sedation. It is better to obtain good dental care than to put it off and suffer the problems of bad dental health later on. We can help you overcome your anxiety and give you a good experience at the dentist. We work with people of all ages, from children to seniors and are conveniently located in Reston, Virginia to serve families throughout Northern Virginia. Please contact us today to set your appointment.